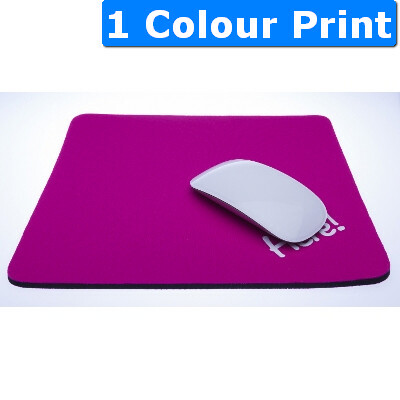 Made out of 5 or 3 mm neoprene, 260 x 220mm, non slip backing with rounded edges. Washable. Available in full colour, multi colour or single colour print? (limited colour selection). Colours: black, white, royal blue, navy blue, maroon, dark green, plum, lavender, purple, wine, emerald, red, spruce, aqua, orange, grey, pewter, dark violet, brown, golden yellow, pink, cinnamon, indigo, violet, powder blue, metallic silver, metallic gold, metallic copper. Decoration Methods: screen printing, dye sublimation. Minimum Quantities: 25 full colour, 50 single colour. Price includes: 1 Colour Screen Print. Includes Setup.